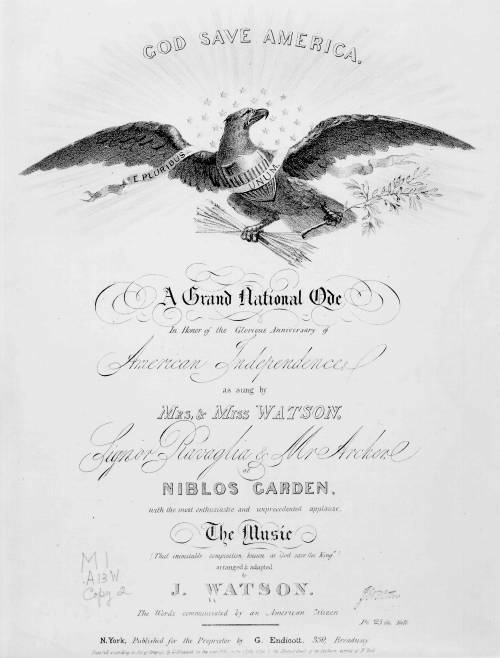 A patriotic device adorning the cover of a song arranged and adapted from "God Save the King." The device is based on the official seal of the United States. An eagle with outstretched wings holds arrows and olive branches. Behind its head is a field of stars, and a streamer reading "E Pluribus Unum" is draped around him.